Wow! There are so many things that I am thankful for, for all of 2014. First and foremost is my health. In order to understand where I am now in 2014, you need to know some backstory. In July 2011 I was diagnosed with diabetes. Being a Board Certified Holistic Health Practitioner, and interested in health and nutrition since I met my husband 42 years ago, and watching my diet, this was a surprise. The culprit was prednisone. I have been a steroid dependent asthmatic since I was 12 years old. Back in the day that was the premier medication and to a major extent it still is. Prednisone will make a non-diabetic person appear diabetic. Prednisone increases your appetite and changes your mood amongst many more sinister side effects. I have been one of the very few people on prednisone who haven’t had the side effects, not even the moon face that is common with steroid dependent patients. So when I got this initial diagnosis, it was no surprise to everyone around me, that I grabbed the bull by the horn and I refused to be on all the medications that were prescribed. Though I had to be on some, for a short while. I decided to lose weight and use the carbohydrate exchange system. Interestingly, my own doctor was not able to help me figure this out. I even went to see a diabetes specialist at the hospital. She couldn’t help me either. Okay, well as a writer I know Google is my friend. I finally found the system, and I just want to remind you that I was a teacher in New York City for 33 years, and I needed a calculator to figure out the number of carbohydrate exchanges I needed to consume each day to lose weight. Calculating my BMI was another story. I followed it to a T and I lost 35 pounds. I still carry it around with me in my bag every day. At this point I was on minimal diabetes meds, but for me, this wasn’t good enough. Then I had to increased my prednisone and I started gaining a few pounds back. I started Weight Watchers and for some reason I couldn’t get off my plateau. Very frustrating. But I’m a warrior, a survivor, and I never give up! 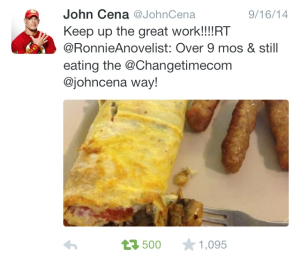 Then a new program that was popular in Europe was introduced in the U.S. http://changetime.com with John Cena along with top specialists. It’s 10 Weeks Body Change program with an option to continue into the Next program. 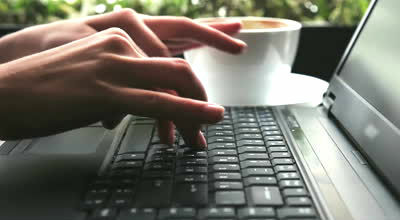 It was a fresh perspective, menu plans, exercise videos, social media support and more. No counting calories or points. See their web site for details. BTW, many medical doctors are proponents of this way of eating. I am going to stress this. No medical claims are being made. And in addition, the body has a wonderful capacity to heal itself when you give it proper nutrition. After the 10 weeks, I had lost 8 more lbs and my blood sugar numbers were decreasing. After 3 months I was able to start decreasing the diabetes med. After 8 months, off all. At my last blood work, I was a non diabetic adult and my triglycerides dropped 40 points. Now 11 months in program, staying on it 90% of the time, I’m weaning off the prednisone and have been doing so for the past 5 months. I’m on the lowest dose I’ve been on in 54 years! A lot to be thankful for! Now onto something else I have to be thankful for in 2014. I am so blessed and privileged to have met my writer’s chapter, SSRA, in Aug. 2012. From being in the middle of the novel at that time, finishing it, pitching it at the RWA conference in July 2013, rewriting, I secured a contract with a traditional publisher, Black Opal Books, in May 2014. Wow! My debut novel Gemini will be released in the Spring 2015. Wait! There’s more! In January 2014 I started plotting another novel even before my contract on Gemini came to fruition. I plotted several months before I actually started chapter 1 on June 21. Obviously this was a story meant to be told. Aires flew out of my mind onto the page and 122,000 words later was completed the second week in October 2014. Then came work with my critique partners, and beta readers before I submitted just three weeks ago on Nov. 4th.This past Friday eve, I received an email from the acquisitions editor that a contract on Aries was being drawn up and I’d have the contract this week. So I feel so privileged and blessed. Two contracts in one year and two novels coming out in 2015! All I could say is wow! Please feel free to ask questions and leave comments. And Happy Thanksgiving to all! 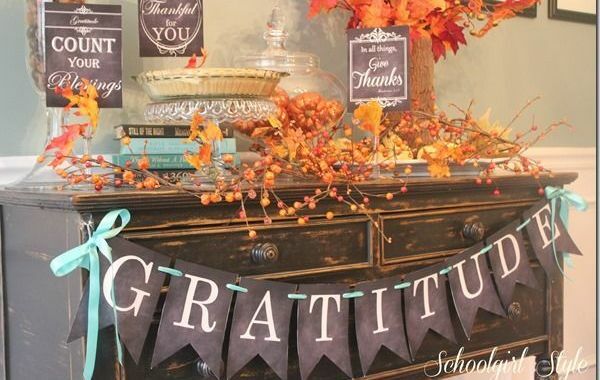 In your comments, please tell us what you’re thankful for! Thanks Mushka! yes, I’ve been through a lot. Happy Thanksgiving to you and yours, too! What an inspiration, you are, Ronnie! Thank you Collette, I’ve definitely been through a lot more than I write publically. Wow, Ronnie. You have a lot of great stuff going on. So cool! =) Happy Thanksgiving! Yes Xio, definitely a lot going on. Happy Thanksgiving to you, too! Ronnie, you amaze me!!! I really like your take charge attitude!!! Thanks JJ! It was a lot of Anthony Robbins trainings that formed me! Thanks Sarah! So exciting! After Gemini, I didn’t know if I had another novel in me. Now I know I have a few more! Heard from BOB’s attorney today. The contract for Aries is in the mail. You rock Ronnie! Awesome story! Happy holiday my friend!! Thanks Jo! It has been a journey. That’s for sure!